The Book Rat: GIVEAWAY: Emma Notecard by The Antique Fashionista! 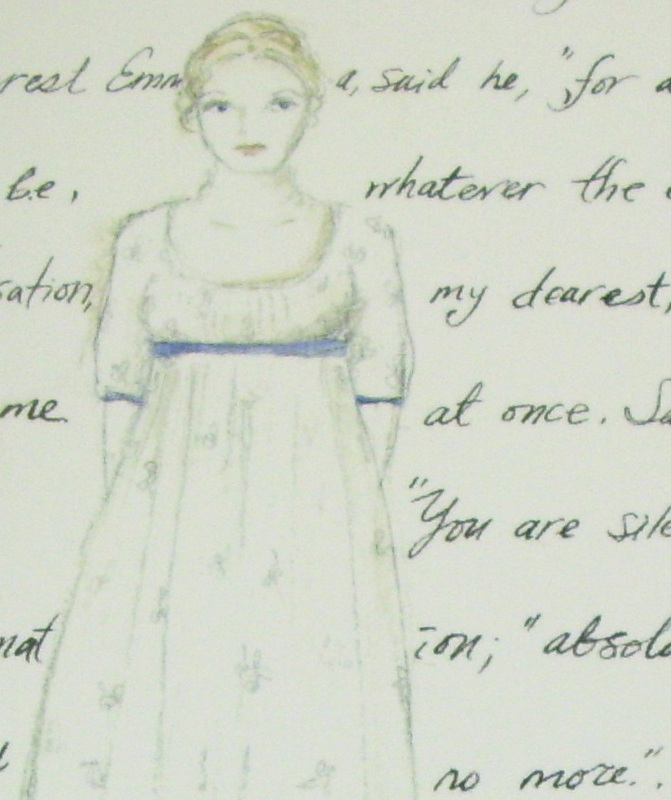 GIVEAWAY: Emma Notecard by The Antique Fashionista! Today from Masha, the Antique Fashionista,we have an absolutely beautiful Emma notecard/bookmark! 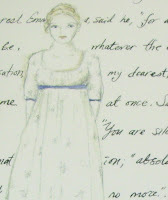 This is original artwork from Masha, featuring everybody's favorite busybody, Emma, in a lovely little daydress, surrounded by the words of Mr Knightley's proposal. All you have to do is fill out this form! 1 bonus entry if you visit Masha's Etsy store and tell me your favorite piece on the entry form! Contest is open INTERNATIONALLY; ends June 30th. Winner will be announced in July. Thanks for the giveaway!I love it! Oh my favorite item (that I was going to buy today) was marked sold. It was Emma holding a basket of strawberries overlooking her home. Thanks for another grand contest.